Organization of pilots | FFPM – Fédération Française des Pilotes Maritimes. In France, Pilotage is a public service provided by pilots. In 2016, 101,000 pilotage operations were performed. 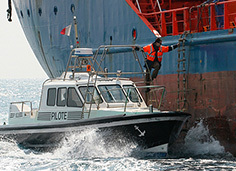 The entire organization of the French pilotage consists in 31 pilot stations – 23 in France and 5 in the French overseas departments, 3 in overseas territories and a cooperative of deep sea pilots – with a total of 334 pilots, 257 seamen, 14 flying staff, 108 administrative staff and 14 auxiliaries. 725 people in total. 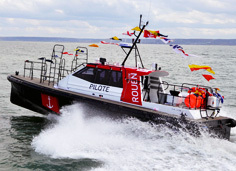 Apart from ashore equipment for pilot stations, pilots dispose of offices, computers, radars, cars and maintenance facilities -nautical equipment consists of one pilot boat, 101 fast pilot launches (with a minimum length of 12 meters), three helicopters, two single-motor planes and a workshop pontoon. 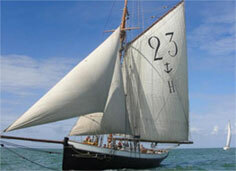 Maritime pilotage is organized by the article L5341-1 and following of the Transport Code (Ordonance No. 2010-1307 of 28 October 2010) and by articles in R5341-1 D5341-87 Code of Transport (Decree No. 2014- 1670 of 30 December 2014). The operation of pilot stations is under the supervision of the Transportation Department. After the decentralization of the administration, made in France in 1982, the Transport Minister authority on pilot stations was transferred to the Prefect of each region which supervises pilotage issues under the control of the “French Maritime Administration”. While Minister of Transport is responsible for pilotage and especially the general rules applicable to all pilot stations, Prefects of Region, must fix the specific local regulations to each pilot station in accordance with the general national regulations. Despite the diversity of pilotage conditions in each station, it shows a real unity in the organization of pilotage. Here is the definition of pilotage as it appears in Article L5341-1 of the “Code des Transports”. Behind the legal aspect and its consequences on the civil liability of pilots, this definition shows the concern of the state to ensure the safety of navigation. The right to perform pilotage is granted to a given pilot station and the law provides criminal penalties for anyone undertaking pilotage of a ship without a regular pilot authorization. Most maritime countries have areas designated as compulsory pilotage districts where ships are not allowed to navigate unless if having on board a licensed pilot belonging to a station. The reason of such a decision is based on the needs of national public interest, keeping the safety level and environment protection at his maximum. There are no penalties for a captain who refuses the assistance of a pilot. In fact, this provision of the law has no effect, because on one hand the port authorities do not granted access to ship without a pilot is on board, according to port navigational rules and, on the other hand, pilotage fees have to be paid as soon as the pilot can prove that he came to the ship in order to perform his duty. Pilotage rules apply only to compulsory pilotage.